As Hannah Montana says, it’s the best of both worlds. Get all 14 of my carefully created Lightroom Presets and take your photos to the next level. 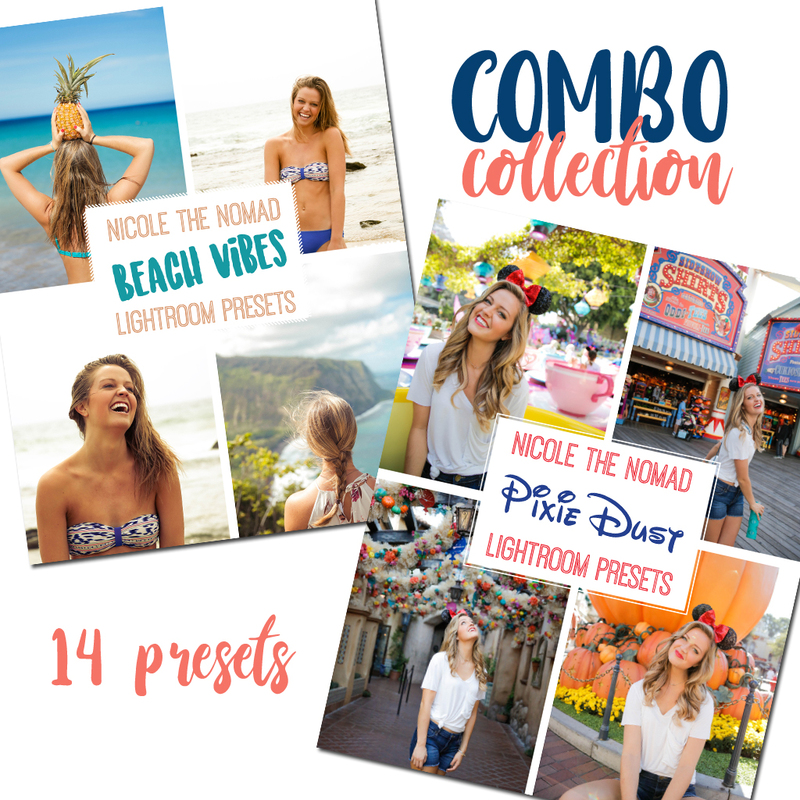 In this combo pack, you’ll get all the warm, summery feel from the Beach Vibes pack plus the pop of color and vibrancy from my Pixie Dust pack. Save money by purchasing them at once for this limited time offer! Please remember that Lightroom presets will look different on every image. Use my example images to notice the lighting, colors, subjects and settings when deciding which image to apply the preset to. You might need to make some adjustments after the preset is applied to achieve your desired effect. These presets are designed for Lightroom desktop + Mobile version MAC/Windows PC, are compatible with RAW and JPEG photos. Due to the digital nature of this product, I am unable to issue refunds!